JURA: Angela Harrell has sent through some sightings from Jura over the last few days and include 2 male Hen Harriers, 2 Short-eared Owls, 6 different Cuckoos and today a Whimbrel at Ardfin with another Short-eared Owl there. 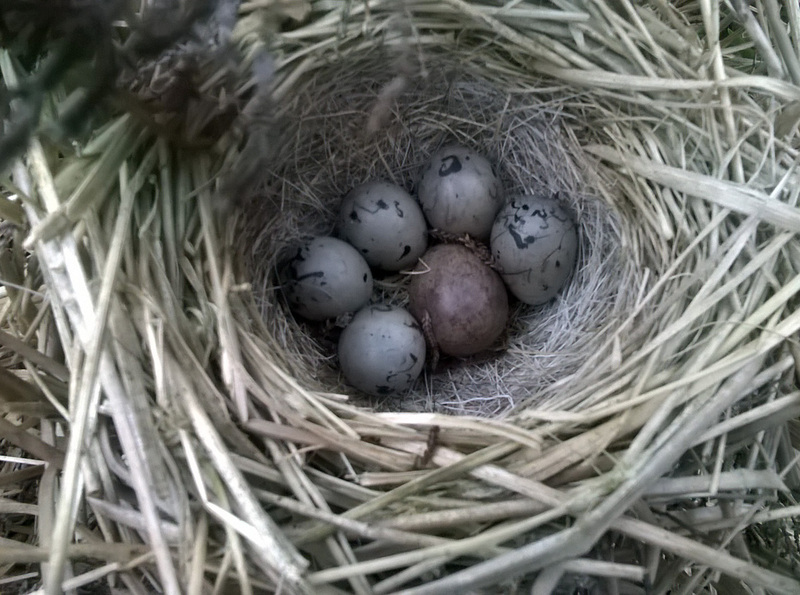 KINTYRE: Clive McKay has sent in a photo of the Reed Bunting nest with a Cuckoo egg he found near Campbeltown in late May. COWAL: Neil Hammatt has just been told of two areas where Pied Flycatchers have nested this year; at Glenbranter and at Kenmore, Loch Lomond (Clyde)….presumably they are very under recorded in Argyll so all reports very welcome. 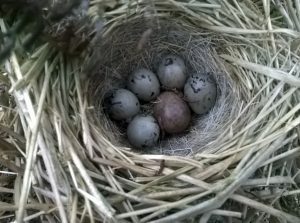 Cuckoo egg in Reed Bunting nest – 24 May (Clive McKay).